Some blog shuffling. Charli Carpenter of Duck of Minerva is now blogging at Lawyers, Guns, and Money. The relief efforts in Haiti are hitting too many obstacles, including a debris-covered port. I wish I could go there myself. Some horrific pictures of the devastation. Tyler Cowen suggests places to donate money. Looks like Gov. Christie is looking for a rumble with the teachers' unions in New Jersey. 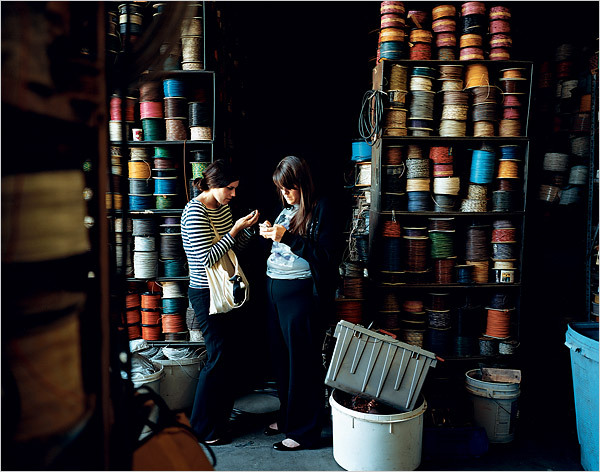 I have been fascinated with Rodarte, ever since the New York Times Magazine did a feature on them a couple of years ago. They are wonderfully strange and so un-fashiony. The New Yorker has another profile of them this week.